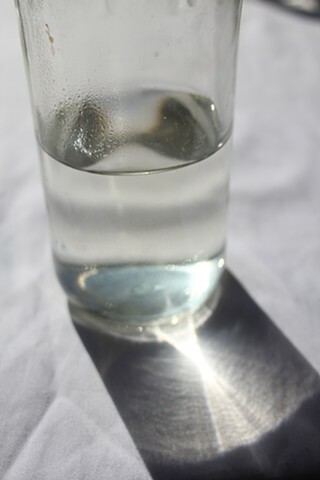 A2O (like H2O; like ache to owe) is about the sensation of owing in relation to water. 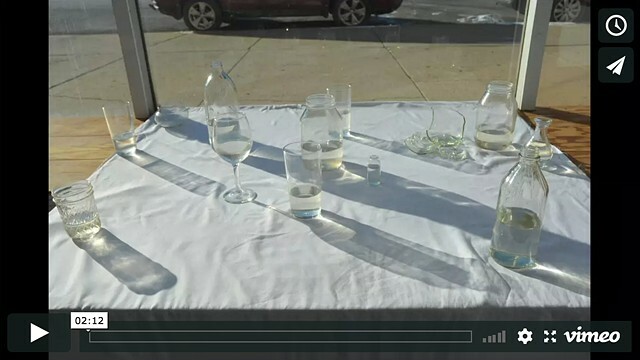 It's composed of glass vessels holding the melt of the first 2015/2016 winter snow in Chicago. 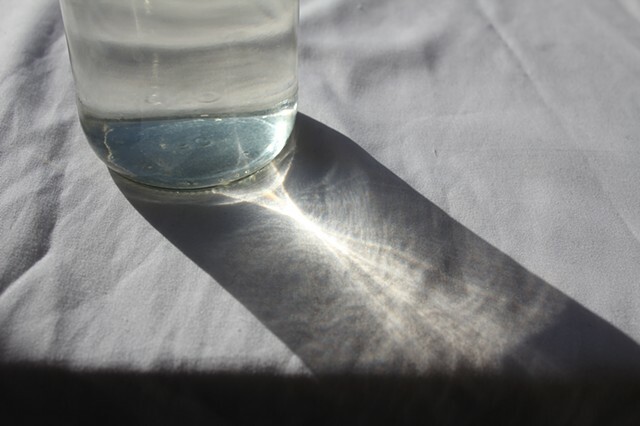 It honors the invisible and subtle ways water is animated, existing in fluctuation: it evaporates, imperceptibly to humans, though evident by milky residue; it ripples with extreme sensitivity to vibration; it provides a bending path for light to move through. 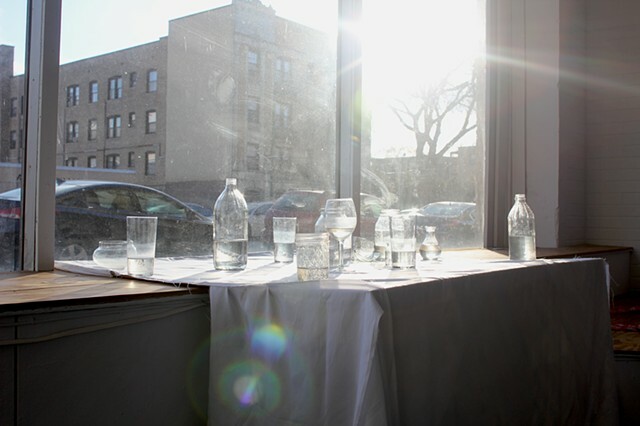 There's a speaker underneath the table the glasses are resting on. 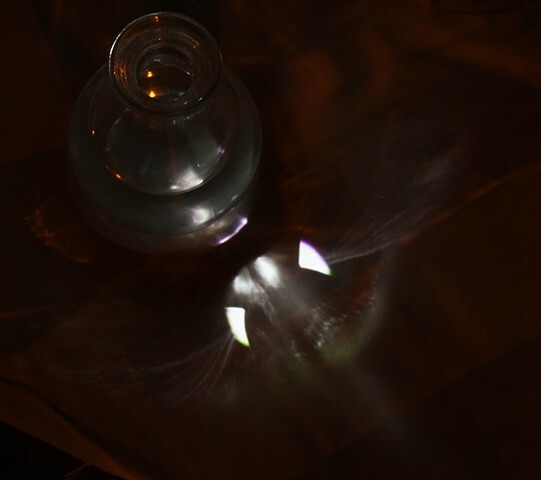 During daylight, it sporadically plays loud sounds of falling objects, startling visitors, as vibration from the violent audio causes sunlight refractions to undulate. 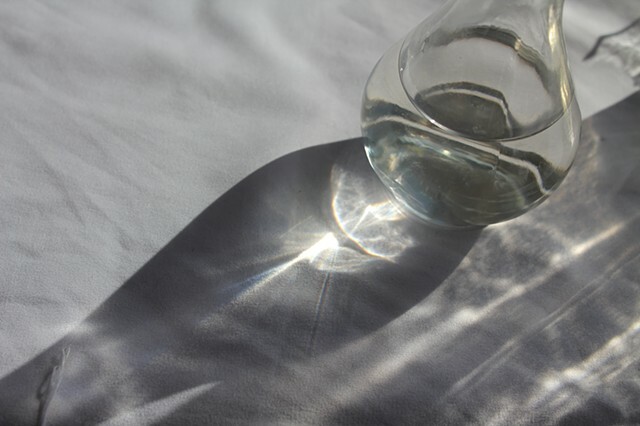 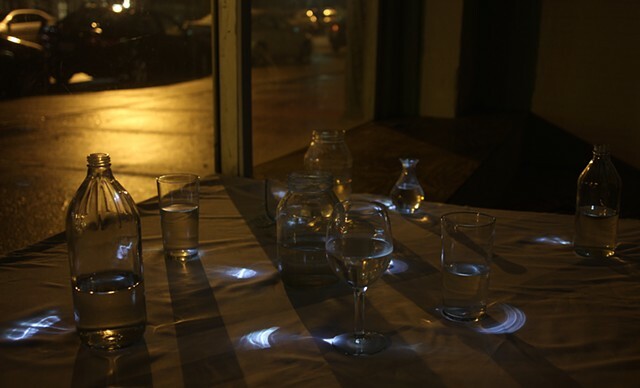 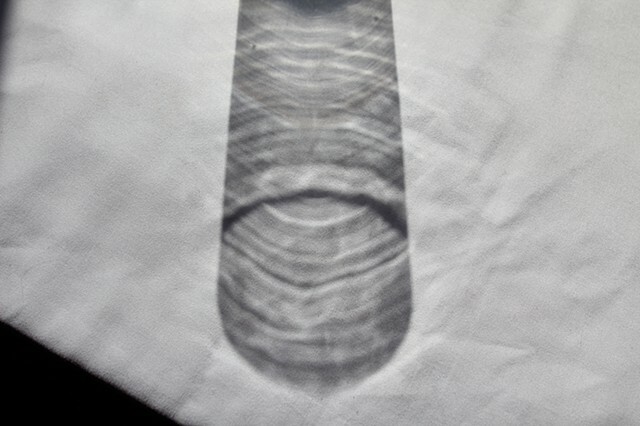 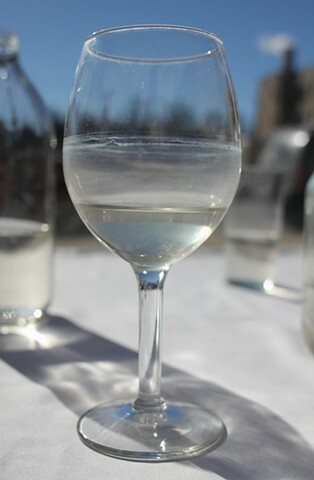 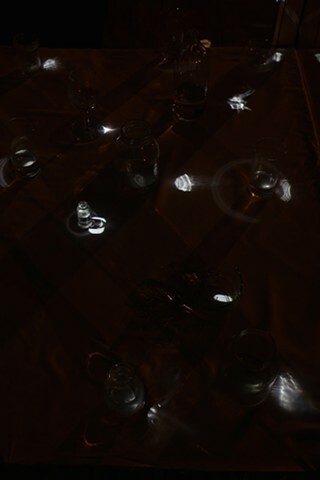 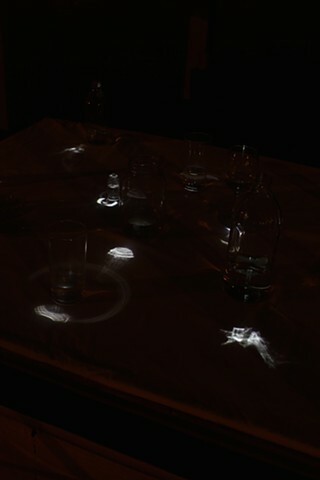 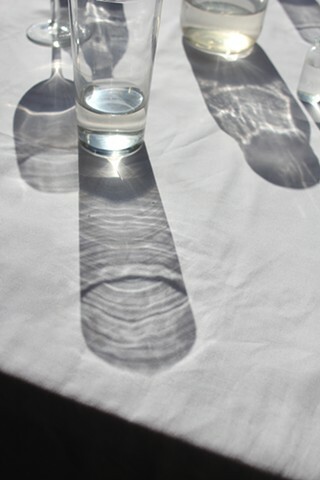 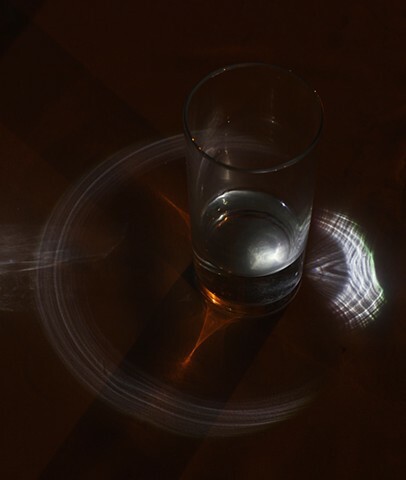 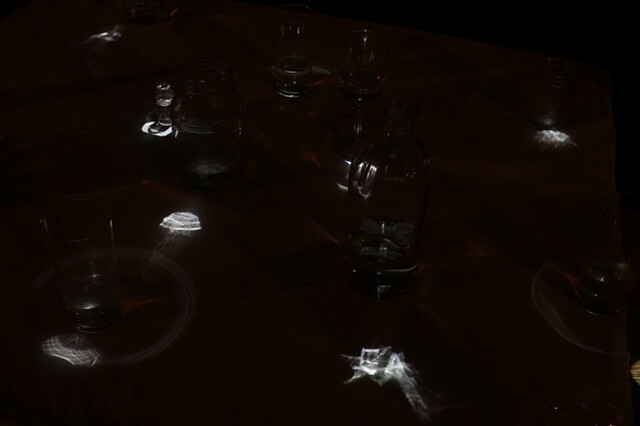 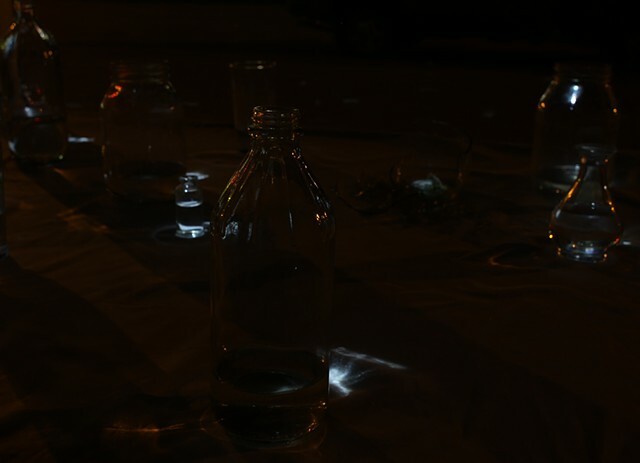 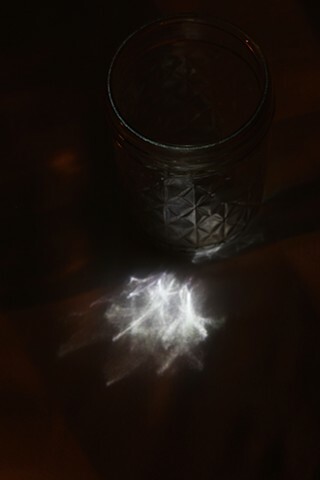 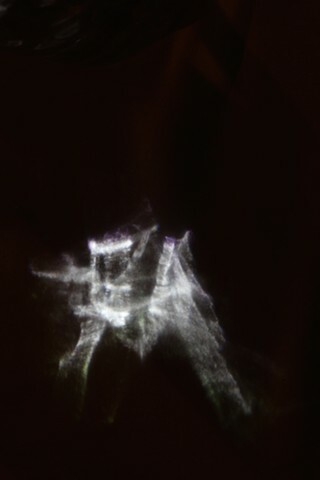 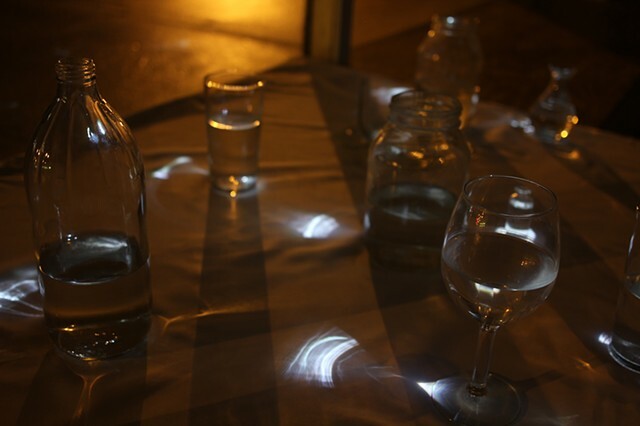 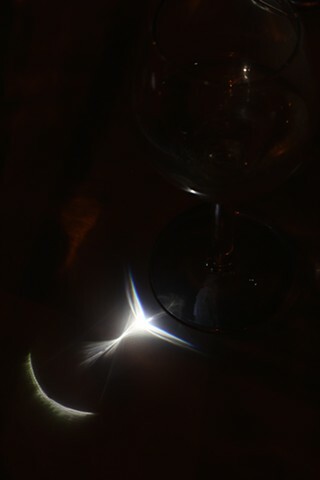 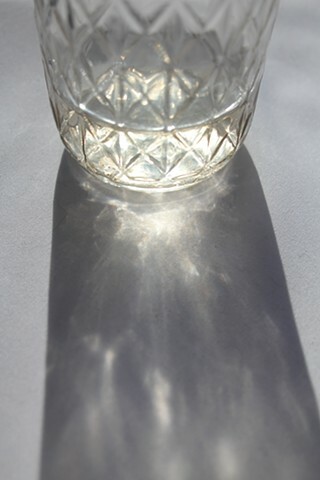 At night, an animation of individual spotlights pulsate through the glasses, a kind of visual depiction of the way water invisibly moves in gas form above its liquid self. 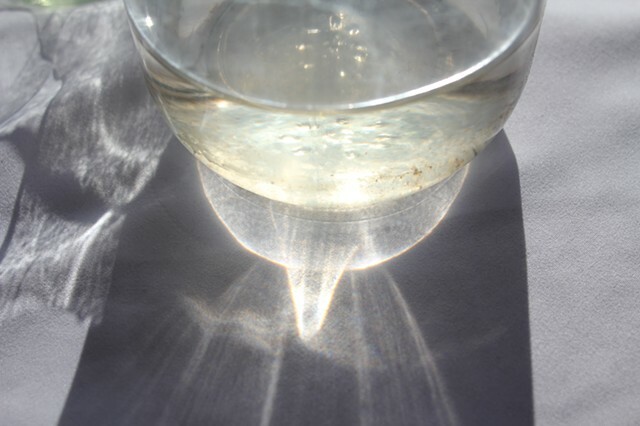 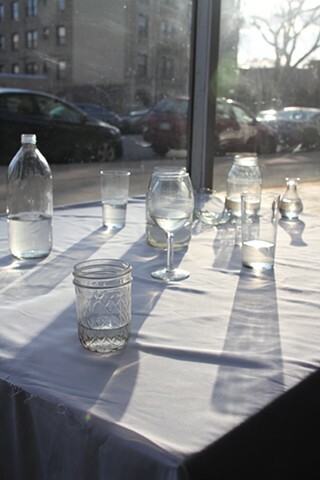 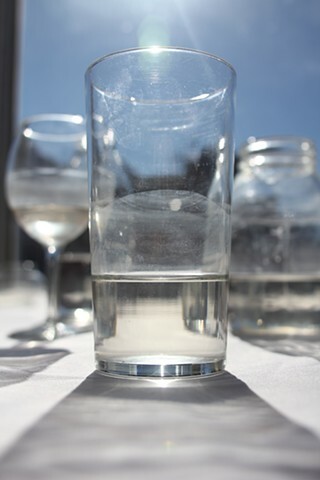 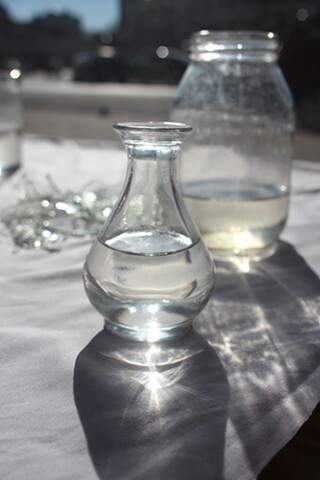 At the time of A2O's installation, Flint, Michigan's water crisis was becoming widely known, one of many examples the world over of a basic necessity becoming poisonous to those most overlooked by dominant groups in power, an unmistakable oppression. 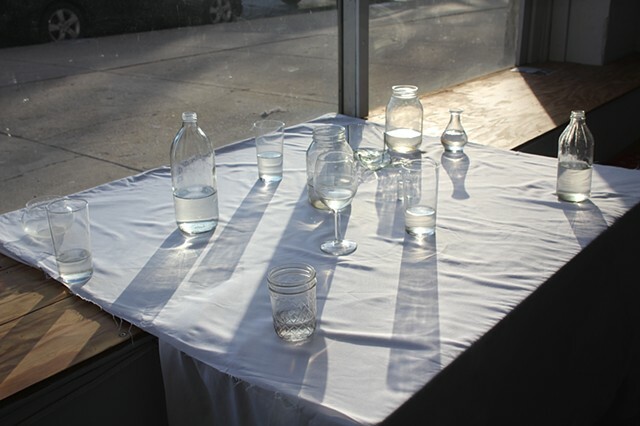 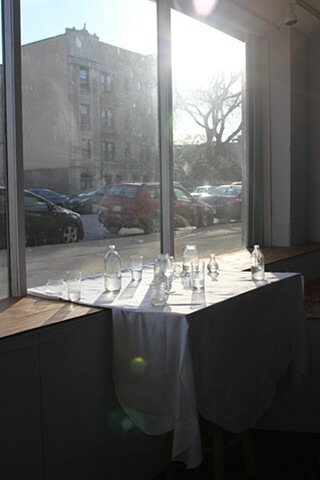 All images from its installation in Wild is the Wind, Roman Susan, Chicago, IL.